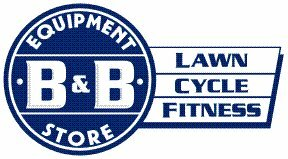 Tim Boone and his brother Marty started B & B Lawn Equipment and Cycle from the ground up in 1993 and it has now grown into one of the largest multi-line dealers in the Geneseo, IL area. Tim and Marty began the business in a small location and focused on stability and growth for the first five years. On their fifth year of operation, they built their current store an added a warehouse addition in 2000. Their business began to flourish so much that they purchased an additional warehouse in 2007. We recently caught up with Tim to learn some of the keys to their success and how they transitioned from the Ideal DOS system to Ideal for Windows. Ideal: What do you consider to be the strengths of your business compared to most other retailers? Ideal: You initially implemented Ideal’s DOS based system and later made the decision to upgrade to Windows. How did that transition go and how has it improved your business? Tim:We entered the computer age in 1999 with Ideal’s DOS based system, which I loved! We made the move to Window in 2012 and yikes, was I nervous. We paid for all new computers and the full four day conversion by the Jedi Master, Dave ‘obi wan’ Baumgarten. It was worth every penny. We made the move for several reasons. One, when you call Ideal tech support and anyone under 30 starts questioning why you are still running DOS and has to dust off stone tablets to find code, I am pretty sure it is time to retire the horse and buggy and breakout the Ford Mustang. Two, we needed something faster and capable of sending email through the POS system. Three, text alerting. That alone should sell the system. And four, we talked with more than 10 dealers that made the conversion and ALL said they loved the new Windows. Want to learn more? Click here to learn how B&B has saved time and money with Ideal.